Cardiff Academy stands for the traditional values of honesty, integrity, professionalism, and, above all else, a duty of care for each and every student that passes through our doors. We have a holistic and inclusive approach to student entry and progression, which allows us to demonstrate the potential of students of all abilities when taught under the best possible circumstances. In our opinion, this is what real teaching is all about, and what makes learning at Cardiff Academy a true joy. What parents and students have come to realise since we first set up in 1999 is that Cardiff Academy really is an institution which puts the child first. What they have discovered here is an educational ethos which respects the individual. Academic high-flyers excel in this system because our small class sizes allow them to engage in debate with teachers who are true experts in their respective subjects. However, less academically able students fare equally well as a result of the enormous amount of individual support and encouragement they receive from our teaching staff. As a result, all students at Cardiff Academy are given the chance to show what they can do under the best possible circumstances and in the knowledge that, no matter what happens, we will always be there to support them. This is a powerful message and one which is being increasingly recognised as such by more and more fee-paying parents and students in Cardiff and beyond every year. 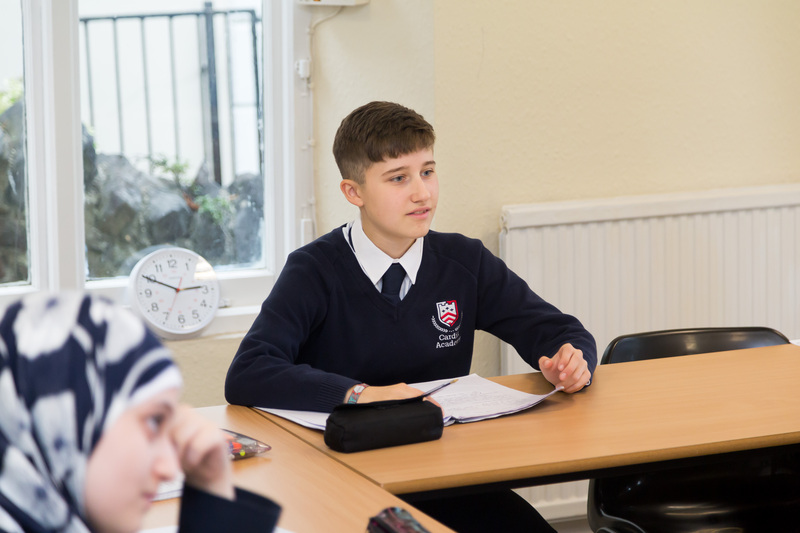 At Cardiff Academy we have implemented a blend of eastern and western education philosophies. We have incorporated the eastern view of teaching through implementation of high standards and expectations. We value virtues such as commitment, diligence and perseverance. This is combined with the western perspective which adopts a student centred approach, encouraging students to be lifelong learners and placing importance on critical thinking, creativity, self-confidence, motivation and flexibility. With this combination of East and West, we ensure our students not only excel academically, but also develop rounded personalities, enabling them to be prepared for University Life and beyond. We have a long history of happy parents with even happier children gaining access to the university of their choice to study a degree for which they truly have a passion. Given the wide range of students we accept each year, the fact that every one of our students has gained access to university is proof enough of the superb quality of teaching available at Cardiff Academy.